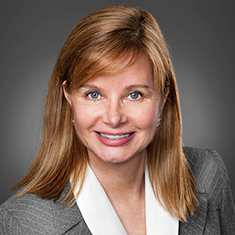 Cindy Brittain is a partner in the firm's Trusts and Estates practice, focusing on domestic and international estate and tax planning. She assists family business members with succession planning and advises her clients on tax mitigation strategies. Cindy partners closely with clients to design efficient plans that satisfy their goals. She advises on the effective use of multi-state jurisdictions for effective state income tax planning. Cindy frequently addresses fiduciary and legal issues that arise during trust administration. Her work with entertainment clients with special assets includes providing creative solutions through advanced planning techniques. Cindy has deep experience in international cross-border planning, advising large global families and their wealth transfer strategies. Her experience bridges private client and cross-border corporate integration. Prior to joining Katten, Cindy was the director of Inbound Wealth Advisory and a senior fiduciary officer at an international financial institution, where she assisted clients with their cross-border strategies. She worked with the company's Delaware office to establish foreign trusts with interposed foreign corporations. Cindy also advised on pre-immigration planning, using eligible check-the-box corporations, defective section 351 transactions and non-qualified preferred stock for cost-basis step-up. Shown below is a selection of Cindy’s engagements.